Saturday 7 March, at 24.00hrs, another great 6-hour night programme is broadcast on De Concertzender, produced by me, Pieter de Rooij, and by Charlie Crooijmans. You can listen to a great selection of overtone music from all over the world in all its manifestations. From 00.00hrs till 03.00AM a 3-hour special on overtone singing is presented, a rebroadcast of a special I made in 2003. Recently I was listening again to some excerpts of this programme and I thought a rebroadcast would be a great service to our listeners, because radiospecials on overtone singing are nowhere to be found, and my programme really offers a great selection of music of a high artistic level and some of the recordings can’t be found in any musicstore. The great thing is that after this rebroadcast you can listen to these recordings permanently online ‘on demand’, whenever you want. 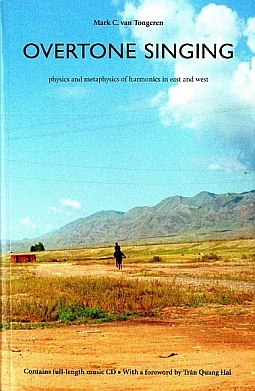 I decided to make this 3-hour special in 2003 after finishing one of the most interesting books on music I’ve ever come across, “Overtone Singing: Physics and Metaphysics of Harmonics in East and West”, written by dutch overtone singer and musicologist Mark van Tongeren. 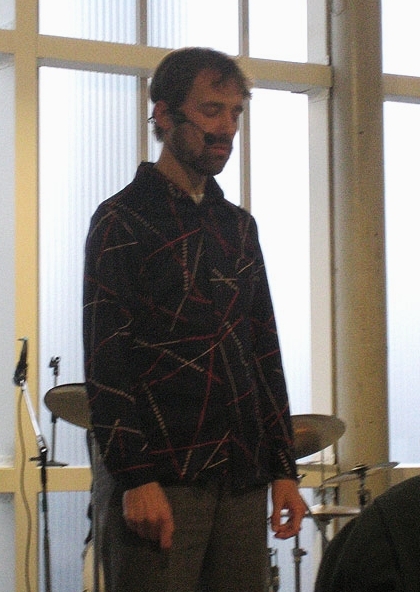 Overtone singing is a technique by which a single human voice can simultaneously produce two or more clearly audible tones, usually a low drone with seemingly independant tones high above it. I was so impressed by this book that I decided to make a radio programme on overtone singing, using Mark as ‘tour guide’. He explains the physics and metaphysics of overtone singing and demonstrates several techniques of overtone singing. The book covers its physical and metaphysical aspects and its practice in both East and West. Mark studied throat singing in Tuva, Southern Siberia, and today, Mark is still performing and continuing his research. The interview with Mark is in dutch, but for people who don’t understand dutch, I’m sure the programme will nevertheless be a worthwhile listen. Have a look at the playlist below and you can already figure out why I can say this. After my special The Night of the Overtones continues at 03.00 AM with Charlie Crooijmans’ programming of a fascinating two hours of overtone music by dutch Mouthharptrio Aubergine (03.00-04.00 AM) and by Swiss gong player Verena Jenny (04.00-05.00 AM). Then, the night finishes with my programming of a unique and very special recording and certainly one of my alltime top favourite recordings. 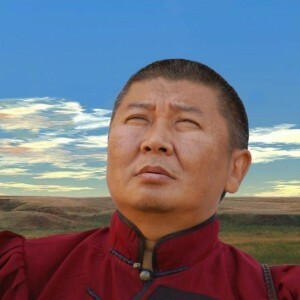 From 05.00 to 06.00 AM I’ve scheduled a fantastic 60-minute recording of singer Okna Tsagan Zam from the Republic of Kalmykia. He gives a spellbinding, mesmerising performance of the Dzjangar epic. It’s a great, never commercially released ‘must-hear’-recording. Nowhere for sale! Don’t miss it! titel: Dzjangar ; uitvoerende: Okna Tsagan Zam ; componist: trad. Arr. by Okna Tsagan Zam ; album: Dzjangar ; label: niet vermeld ; C.1999, private release.